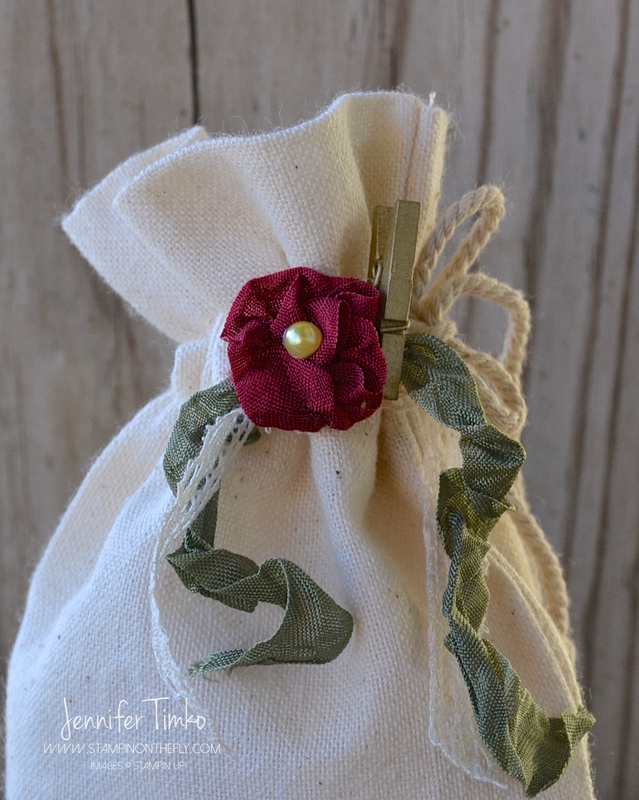 I am so excited to share with you this month’s project with for our Fancy Friday monthly hop! If you just came over from the amazing Jeanna, welcome to the next stop. My friends and I want to be able to share with you our ideas in a monthly format. 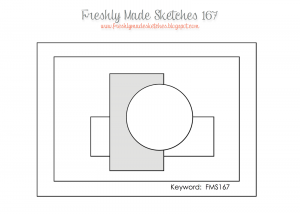 We will use different themes each month – sometimes colors, sometimes a sketch, sometimes a stamp set focus. The one thing you can count on is that it will be fancy! Over our year on the 2013 Artisan Design Team, “fancy” became our word to describe the best projects, the best new clothes, even the best pedicure colors. Now we want to share with you our take on “fancy” each month. This month our theme is “Masculine Yet Fancy”! We are making masculine cards with special elements. Because the men in our lives deserve fancy cards too! What is it about spring that makes you move to new colors?! Those of you who have been with me for a while has seen me call it “seasonal stamper’s disorder”, lol. I simply HAVE to stamp in colors that fit the temps outside. Watercoloring is another technique that seems to mean spring to me. Soft lines, imprecise splatters, no rules! This card uses the fun Little Letters Thinlits to create a word. Any word you want!! But how did I do it?! Thanks to the Stretch Your Dies class I’ve been taking, I learned this technique of masking using freezer paper (who knew?!). Kristina Werner demonstrated the how-to in the class and it works perfectly! Cut the letters out of the freezer paper, iron them on carefully, and watercolor. Then remove the masks. I used Lost Lagoon, Daffodil Delight and Old Olive classic ink to color on Watercolor paper. Once dry, I cut the panel down and peeled up the masks. FANCY!! 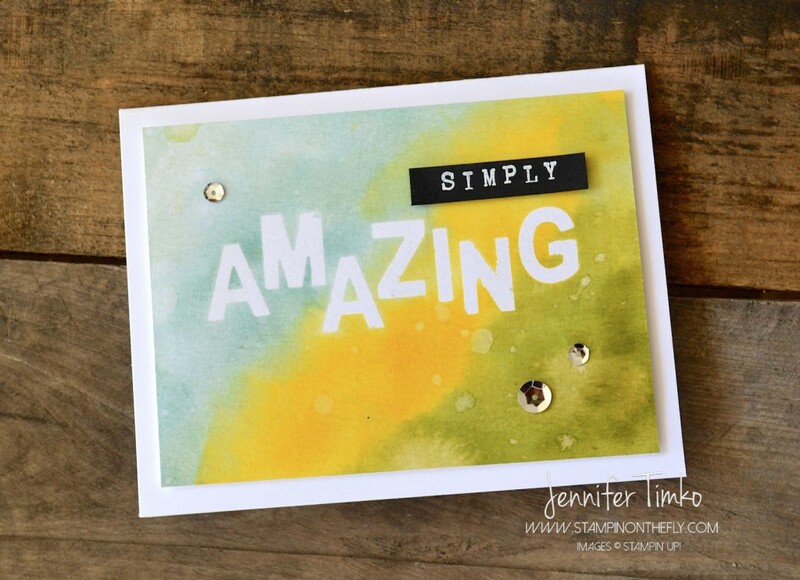 I dialed the word “simply” into my Alphabet Rotary Stamp and stamped in Versamark ink onto Basic Black card stock and then embossed in White Stampin’ Emboss Powder. I find myself hoarding all kinds of sequins now (thanks to all the cool ones in Paper Pumpkin) and these are the Frosted Sequins from the Holiday Catalog. And guess what, you can get them right now on the Clearance Rack while supplies last! So what do you think about this one?! I’d love to hear if you think the technique is as cool as I do!! The best part is that my oldest son asked me if he could get this card or a card like it for his birthday….I’ll take that as a yes on hitting the mark with a man (or junior man) friendly card! I told you on Wednesday that I had an announcement to make and I thought today would be a great time to share. 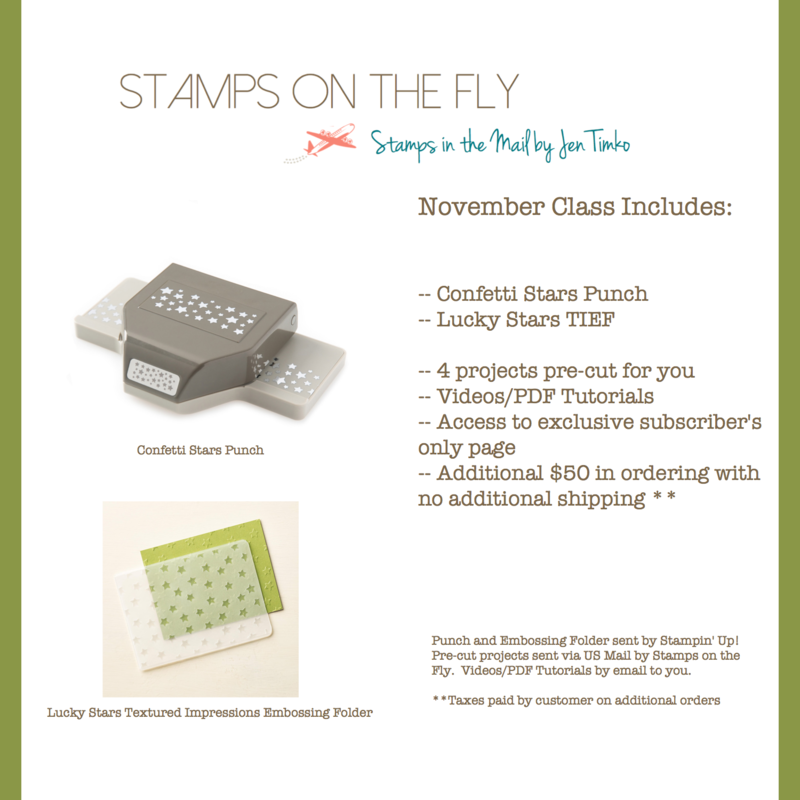 I have an new and updated version of my Stamps on the Fly program that will launch on April 1st. Click here to see all the details!! Hint: I’m bringing my love of sketches to YOU! We have a super special treat this week and I have the privilege of introducing our Fancy Guest Stamper. And yes, she is extremely fancy!! Hop right over and see the fabulous Kimberly Van Diepen! You are going to love what she created! 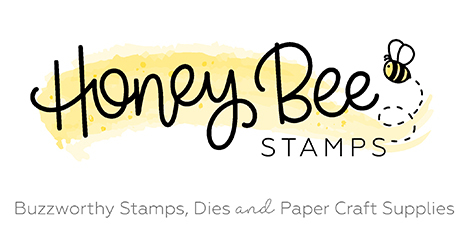 I am so excited to be a part of this amazing group of Stampin’ Up demonstrators! If you haven’t heard of “The Crew” yet, you are going to be so thrilled with this. We are here to show you the versatility of one stamp set every time we hop (the 1st and 3rd Monday of each month). We have a whole team of people and different stampers participate each time. Like you, we look to find ways to maximize our investments and the single focus on one set allows you to see all the possibilities! 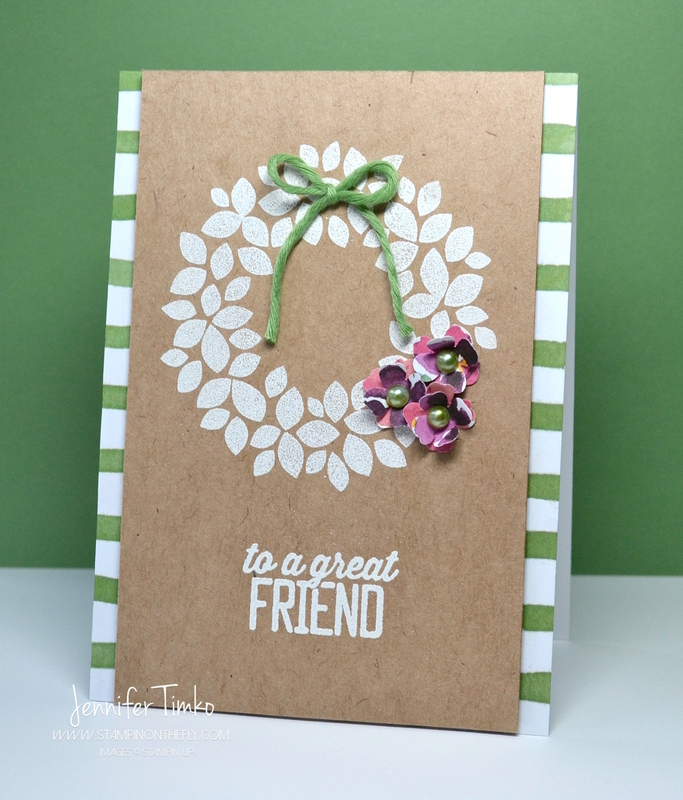 This week, our featured stamp is Wondrous Wreath. Let me repeat that…Wondrous Wreath. Yes, the one from the Holiday Catalog! Did you know it is on the Returning Favorites List in the Occasions Catalog? Good news if you missed it before in all the holiday madness! The best part about this stamp is the versatility! It is not just for Christmas, that is for sure! Just look at this adorable spring wreath and you can start to see how many variations you can make. I stamped the wreath in Whisper White Craft Ink and embossed it with White Stampin’ Emboss Powder. I added a sentiment from the Sale-a-bration set Simply Wonderful in the same way. Then using the Painted Blooms DSP suite, I added the embellishments. The Kraft card stock is cut to 3-1/2″ x 5-1/2″ and the striped DSP in the background is cut to 4″ x 5-1/2″. 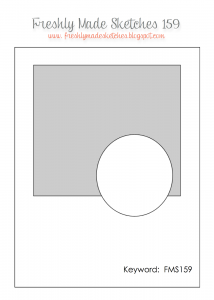 That allows a practical cutting pattern for the 12″ x 12″ DSP and you can get 6 of these from one sheet. Love that! I punched the little flowers out of some scraps of a flower print from the DSP (like the arrow from last week’s FMS card) and doubled them up for these cute add-ons. The Wild Wasabi twine is from the Painted Blooms Cotton Twine Pack and I colored the pearls to match with Blendabilities. Just take the middle green from the Old Olive blendies and color first. Then go back over the pearl with a touch of the darkest marker from the Soft Sky blendies pack. 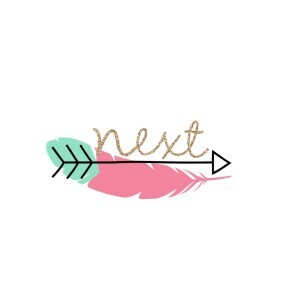 You can custom blend with these!! Oh how I adore this feature! The striped DSP is attached to a white base then the Kraft layer is up on Dimensionals. I attached the bow and the flowers using Crystal Effects as glue. Super secure and dries fast! Perfect for people like me with no patience! I hope you like today’s card. Like you, I can’t wait to see all that the others have for inspiration! Hop on over to Rochelle Blok to continue on your way around. So glad you dropped in today. See you again soon! 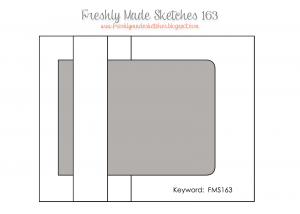 I am so excited to be able to share with you this month’s project with for our Fancy Friday monthly hop! If you just came over from the amazing Jeanna, welcome to the next stop. My friends and I want to be able to share with you our ideas in a monthly format. 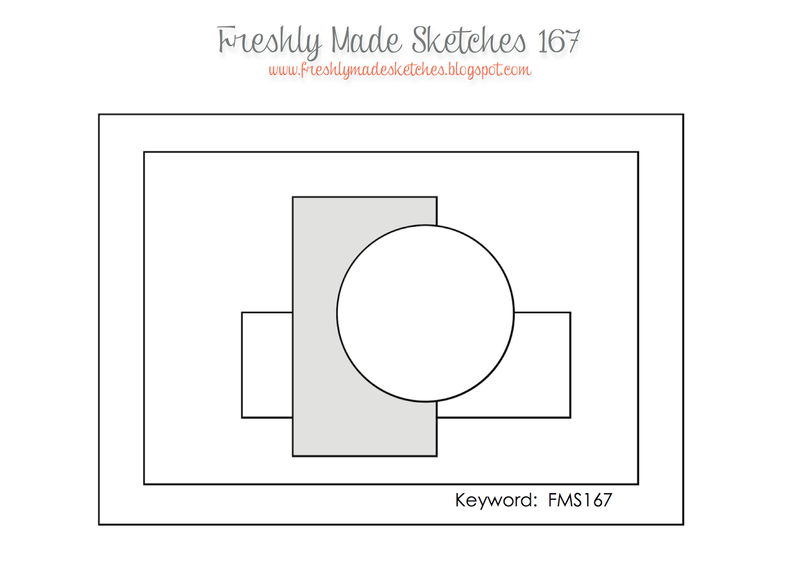 We will use different themes each month – sometimes colors, sometimes a sketch, sometimes a stamp set focus. The one thing you can count on is that it will be fancy! Over the last year “fancy” became our word to describe the best projects, the best new clothes, even the best pedicure colors. Now we want to share with you our take on “fancy” each month. 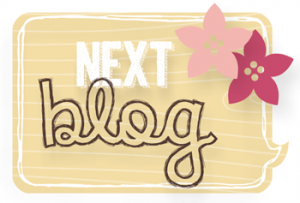 This month our theme is “Tags Tags Tags”! 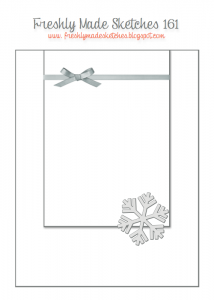 ‘Tis the season for tags and they are not only great for packaging but also as an element on a card. 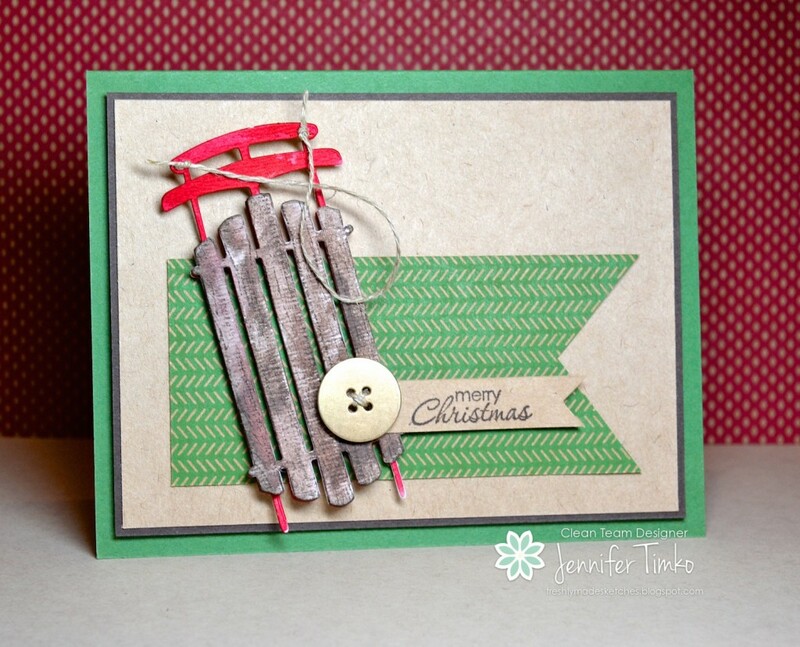 I used a mish-mash of things that were on my stamp table for this card. Does this card feel familiar to you?? 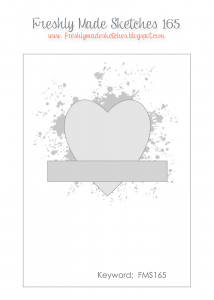 That is because the background of the card was a cast off from this card. I first created this layer using Very Vanilla and then realized that I wanted it in Whisper White. So this version has been sitting on my “to use” pile for months. Well, I’m trying to move through that pile so I pulled it out again. I also used elements from the awesome kits that I have been getting. 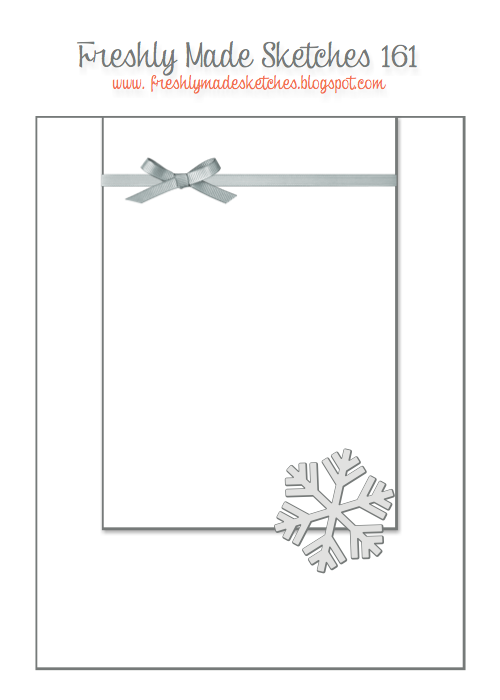 The “joy” and the snowflake are from the Watercolor Winter card kit. That kit is the creative gift that keeps on giving! 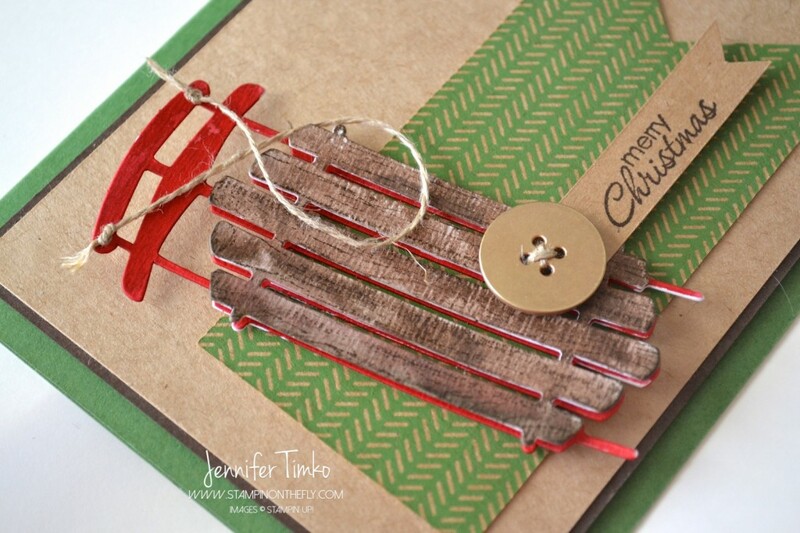 I made a tag from Gold Foil using the Scalloped Tag Topper Punch and round the edges with my Corner Rounder Punch. I attached the vellum snowflake and the gold thread using a gold Metallic Clothespin. I used the Baker’s Twine left behind from pulling off the gold thread (Gold Metallic Baker’s Twine) to attach to the top of the tag. I hope that you find inspiration in this card. With almost all my holiday crafting done, I had fun just “playing” to create this. 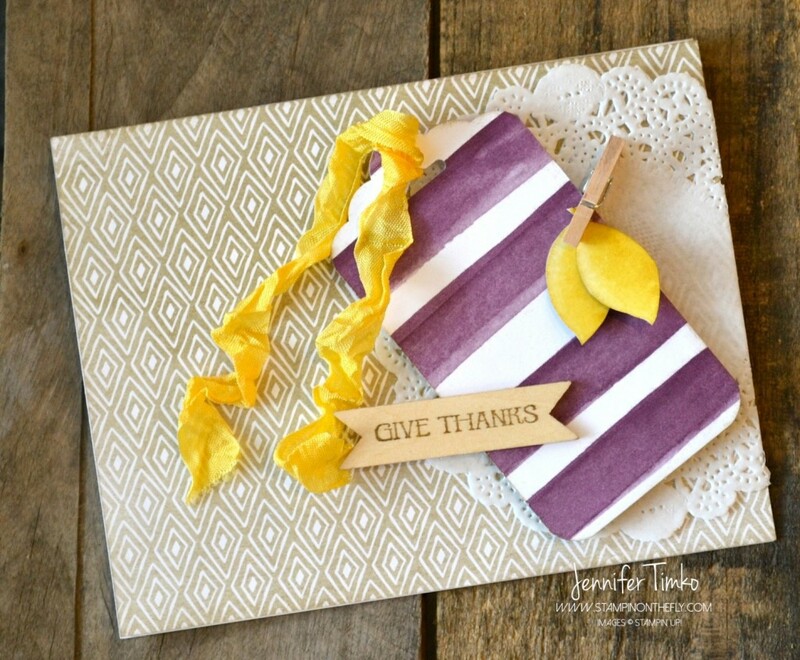 Combining elements, playing with textures…these are great to do. 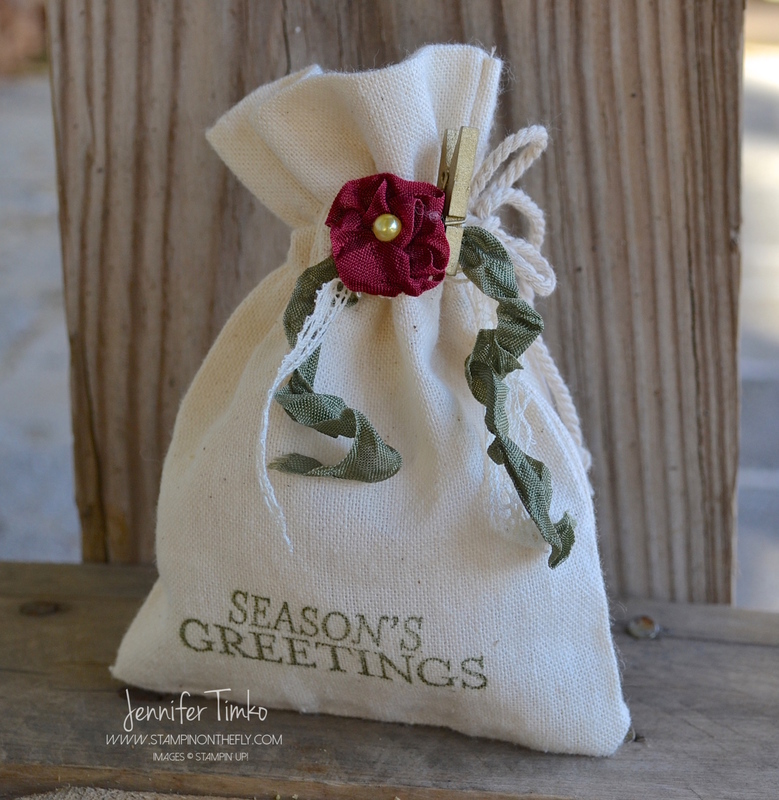 I hope that you will have some time set aside during this holiday season to create just for the fun of it. I have no posts planned over the next couple of weeks but if I manage to sneak in some crafting time of my own, I’ll be sure to share. I hope that this season of joy finds you surrounded by love! Thank you so much for visiting with me today! Okay, off to go visit the awesome Mercedes Weber! You will be wow’d, as always! All twelve PDF/video tutorials for my Bright & Beautiful Edition are now available. Just click HERE or on the picture to learn more! Wow, has it already been a week since I posted? I guess it is that time of year when the time seems to fly. So that makes it even better when Freshly Made Sketches designers give us a great sketch to inspire us. 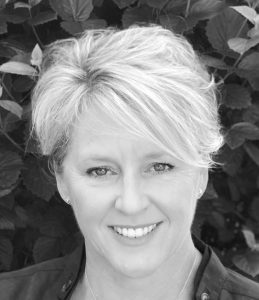 This week, the sweet and oh so amazing Cindy Hall is our hostess. I was working most of the time since last week so I was thrilled to see a sketch that I could use quickly when I sat down to stamp yesterday. The rest of the team has done it again! Wow, these ladies are fabulous! I felt like this set really called for a pretty image and as I looked at the stamps, this fellow from Beauty of the Season jumped out at me. I really love him so much. And….with all the cold air, it is time for me to put my bird feeder out. I’ll be sure to be seeing his friends soon, lol! I colored this guy with my Cherry Cobbler Blendabilities and then used a little bit of Smoky Slate for the branches. I added a piece of the Typeset DSP which I thought was a nice complement and striking against the Cherry Cobbler card stock. I didn’t do a perfect job of following the sketch (sorry Cindy) but this just seemed to call for a fluffy bow. So I added one with my Cherry Cobbler Seam Binding. 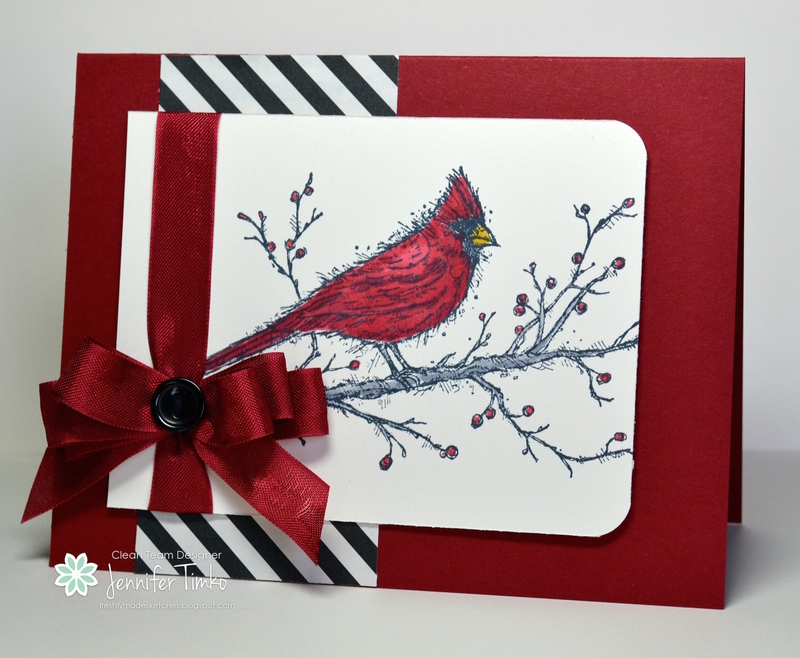 The inside will use one of the fabulous sentiment from the set and I have another Christmas card done. YAY! I was out and about in the cold this week and will be back at it starting on Saturday through Thanksgiving. Being on reserve (on call) I have no idea where I’ll be but I hope to see some stampers along the way! Also, I have a fun announcement coming tomorrow for you. Just in time for those last minute holiday cards. 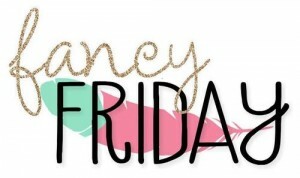 And we’ll be doing our Fancy Friday early this month due to the holiday here in the U.S. You won’t want to miss this one! Thanks so much for stopping in today. See you tomorrow! Well after a bit of a blitz last week, this week is a little bit quieter. To be honest I am catching up from all the stamping events in October! I had a great time at my Bright & Beautiful class here in the stamp room on Sunday and have started planning another class for the end of the month. 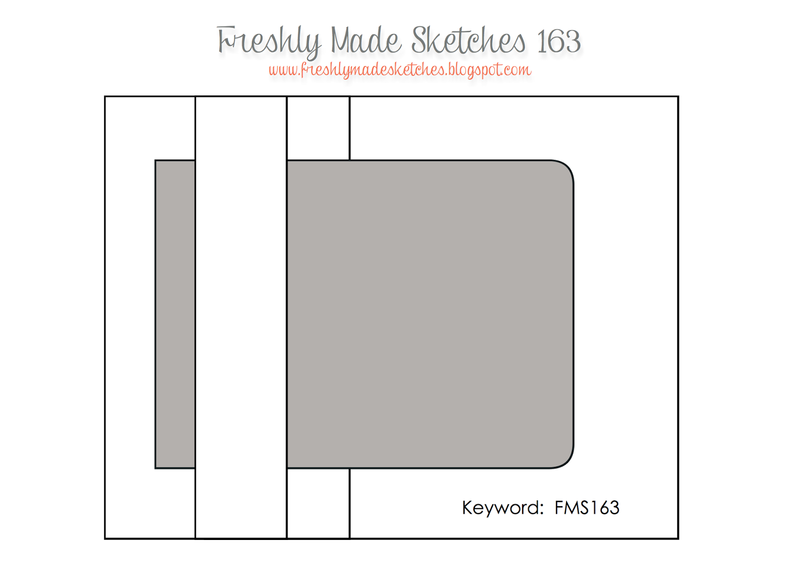 Today, my friend Linda has created a clean and wonderful sketch for us at Freshly Made Sketches. It was just what I needed since my brain was pretty fried. You know what happens when I’m feeling creatively tired? I go to my happy colors, stamps and ribbons. I think we can safely call this a “Jen card”. Fall colors are always my favorite and this new Mossy Meadow is a perfect green. And then there is Early Espresso. I jumped for joy when I saw this new Early Espresso Seam Binding in the catalog this year and it was on an express UPS vehicle right to my house! I used the Kraft card stock for my base and then stamped Hardwood in Crumb Cake ink onto Naturals Ivory card stock. 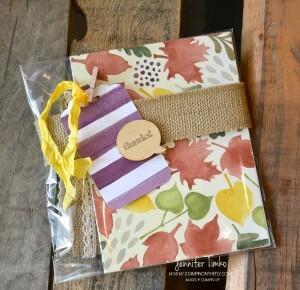 The sentiment is from For All Things and the little leaves are from the Color Me Autumn DSP (just fussy cut out). I added part of a Tea Lace Doily and some retired Natural Trim Ribbon under my shabby bow. It pays to pull out favorites since this came together really quickly. Oh….and did you see??? It isn’t to late to get some of this great DSP for free. Just click the link above and follow the Rafflecopter. You can’t win if you don’t enter!! Ok, now hurry right over and see what the rest of the team has created for you this week. Amazing stuff as always! And you have to go tell Linda how much you love this. Stick around and read her posts. LOVE her sense of humor! This week is going to be quiet as I work on videos, tutorials and classes. I hope to have more to share with you next week. My boys have been home a lot over the last few days. Yay for being mom but not very productive for getting stamping done. 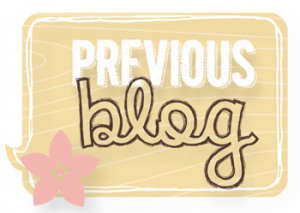 Ah well….the stamping will be here…. Until next time, thanks so much for stopping in today! 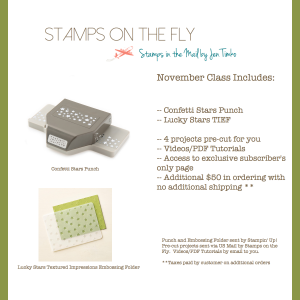 Sign ups are open for Month 3 of Stamps on the Fly Bright & Beautiful Edition. Am I allowed to say that I think this month’s projects are my favorites?! Click the link for details on how to join the fun! 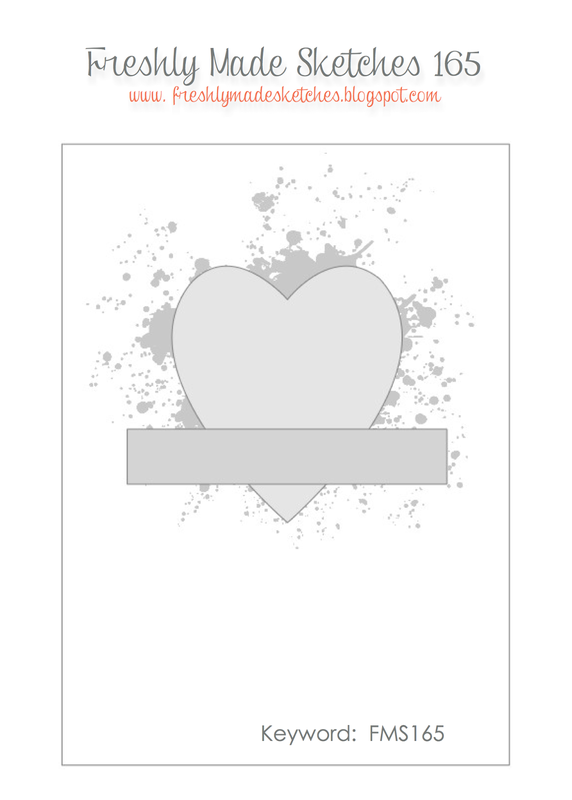 I hope you liked yesterday’s card for the Hope You Can Cling To Challenge. 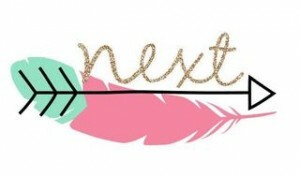 I am just so excited to be able to be a sample maker for some of the amazing hostesses! 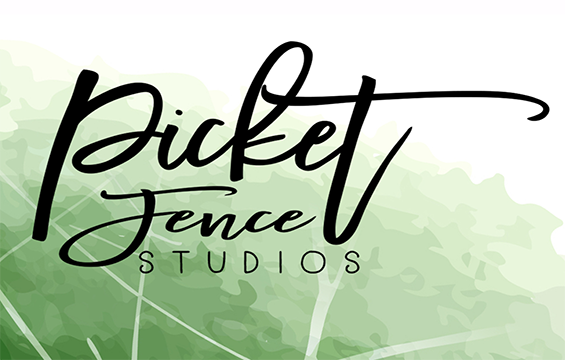 And speaking of hostesses…well we are super lucky to have the fabulous Jen Mitchell as our sketch hostess this week at Freshly Made Sketches! Her clean design lends itself to lots of interpretations! I seem to have stars on the brain so I immediately reached for my Bright & Beautiful stamp set for this sketch. 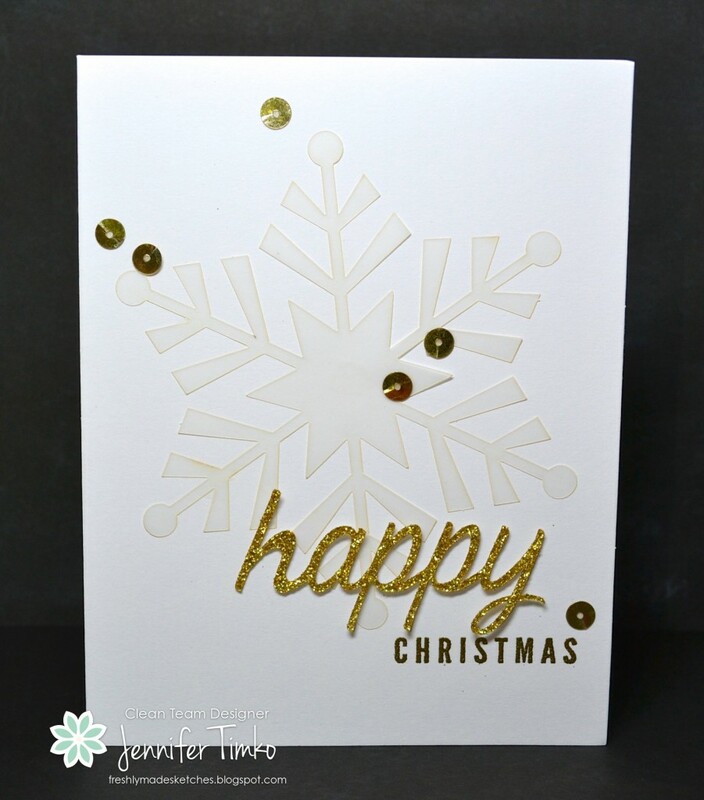 Now what you can’t see in this picture is that the card is made on Shimmery White Card Stock and the subtle shimmer is SOOO pretty with the gold embossing. 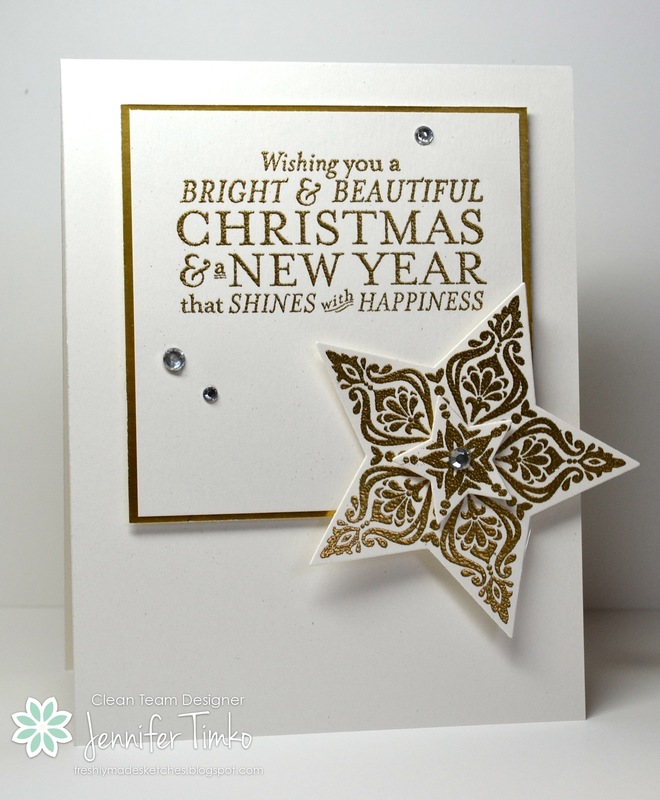 I stamped the star and the sentiment with Gold Encore Ink and heat embossed with Gold Stampin’ Emboss Powder. All I had to do was add a few Rhinestones and I have a sparkly card all ready to go! Want to keep the look all gold instead??!! Just add gold sequins and you are there! 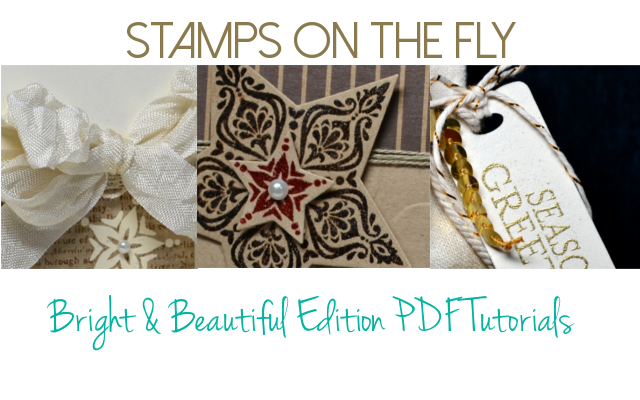 Now speaking of stars….did you hear about the new Holiday Supplement from Stampin’ Up?! Well, you need to check out this Pinterest page: Merry & Bright. So many cute things and totally easy to make with the new kits! See…that is why I have stars on the brain! Now, off to see the work from the rest of the team. Make sure you come back tomorrow since I have another card for the Hope You Can Cling To Challenges! See you then!